Bucket lists do not need to be grand scale adventures or limited to family activities. Bucket lists are all about trying something new. For most individuals, pets are a valuable family member. Including your furry companion in activities is a great way to spend the summer. 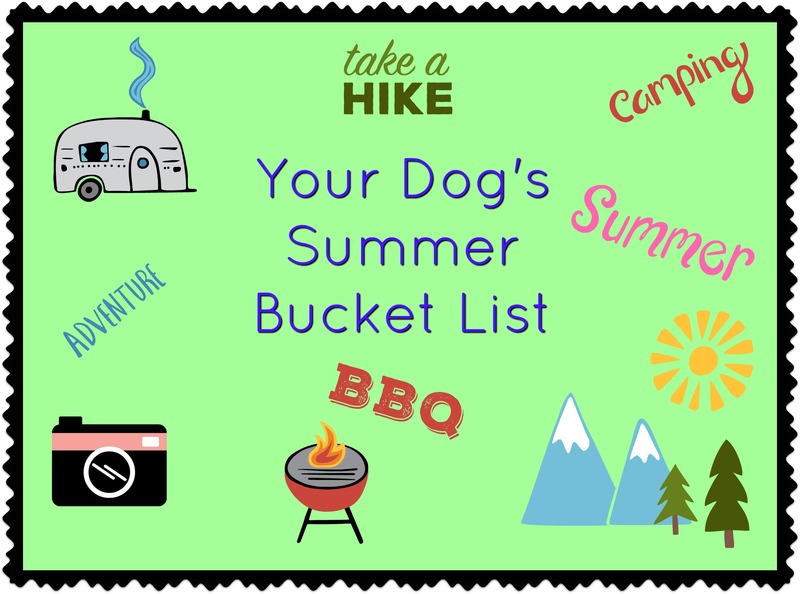 Create a bucket list for you and your dog. Prior to heading out to any destination, ensure the place is pet-friendly. Simply call or research the rules and guidelines for bringing along your faithful companion. Many travel areas strive to include family pets. Others may have specific restrictions in place. By knowing the rules ahead of time, you will not disappoint your fur baby. After a long work week or hectic schedule, both you and your pet will need some outdoor time. Hit the trails. Pack the essentials for you and dog, and spend a day exploring the natural world. Many campgrounds cater to pets by adding dog runs and other play areas. Finding the best campground for you and your dog may take some research. Being outdoors for a weekend is a great way for you to unplug. Not to mention, time for you and your dog explore. Dog parks are an excellent way for socialization and play. Try to visit the dog park regularly. Consider going to a variety of dog parks in your city. Different play areas provide new adventures for your dog. Need a relaxing getaway. Consider going to a pet-friendly hotel. Many hotels strive to include pets in their accommodations. Order room service. Enjoy a night of relaxation with your fur baby. Cook a steak on the BBQ for you and your pet to enjoy. Or host a party for friends and their pets. If your dog loves to swim, head to the lake. Pack a picnic. Enjoy your day. Redesign your backyard space with your dog in mind. As a pet owner, you probably have hundreds (or thousands) of photos or selfies with your pet. Perhaps the time has come for a professional portrait of you and your fur baby. Perhaps, the best activity is a night at home. Watching videos, sitting on your couch, and cuddling with your pet may be the perfect way to spend an evening.